The receiver in the RS-HFIQ consists of 5 band-pass filters to reject out-of-band signals, an LNA with frequency dependent gain and a conventional quadrature down-converter. The transmitter in the RS-HFIQ uses a Quatrature up-converter followed by the same band-pass filters used by the receivers, a 5W power chain and a low-pass filter bank. 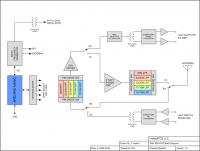 The Local Oscillator is based on a Silicon Labs SI5351 chip that can product up to 3 RF outputs, the LO signal for the up/down-converter, a built-in test signal for calibrating I and Q offsets and an external signal. The control of the SI5351 and all switching functions is provided by an Arduino Nano running open-source software and programmed with the Arduino IDE. Special care has been taken to insure noise and ground-loop set-up. 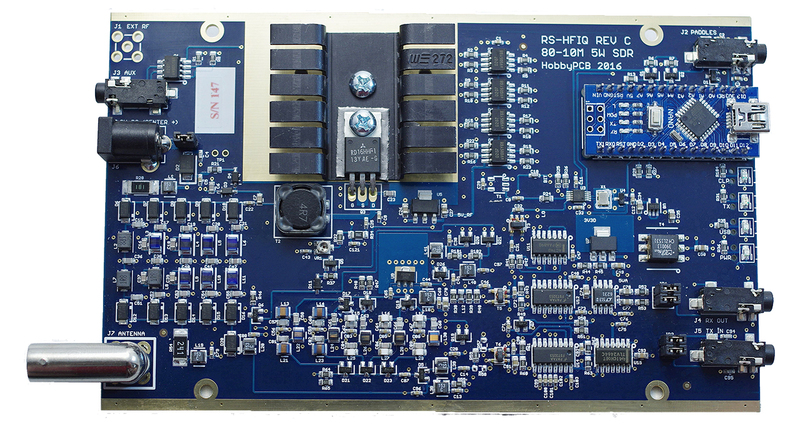 The RS-HFIQ has three separate DC isolated ground planes; RF/Chassis ground, Baseband/Audio ground and Digital ground. This allows the same PC to be connected to the audio in/out and the USB port on the Arduino Nano without creating noise/grounding issues. 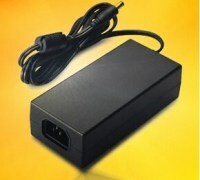 5W not enough power? 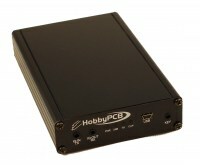 Add a HARDROCK-50 to your station to boost up to 50W. 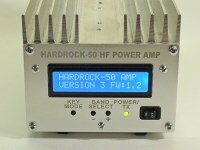 The RS-HFIQ and HARDROCK-50 seamlessly integrate together for a powerful base station! Computer hardware - A digital signal processor or high speed general purpose processor. Visit the RS-HFIQ Transceiver Wiki for more information.